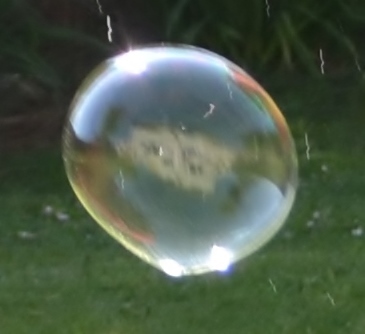 My granddaughter was playing with a bubble wand in the garden this morning and I sat happily snapping away. Looking through the images with her later I realised I had also caught the blurred reflection of the house so it seemed the ideal one for this week’s photo challenge. Our girls loved bubble wands when they were growing up. So much fun! She’d left it here from a previous holiday and found it this morning. I have to confess I had a few goes myself! Bubbles always make me smile. Thank you for visiting and following my blog. I am certainly happy to have you as an important part of my blogging community. Welcome!